CHICAGO -- A man has been charged with fatally shooting two people last year in a Back of the Yards neighborhood gas station parking lot on the South Side. 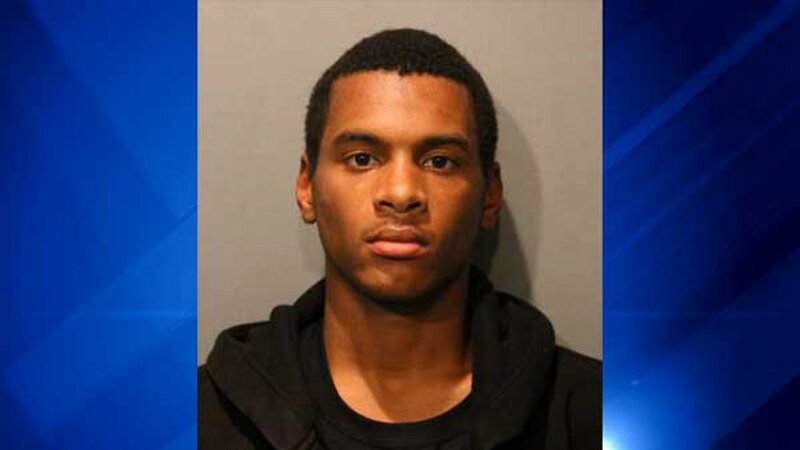 Lorenzo Parish, 19, faces two felony counts of first-degree murder for the Oct. 28 shooting, according to Chicago Police. Chiquita Ford and Brian Fields, both 30 years old, were sitting in a parked vehicle about 10:20 p.m. at the station in the 1900 block of West Garfield when a gunman walked up and fired shots, striking her in the side and him in the chest, police and the Cook County medical examiner's office said. Both were pronounced dead at the scene at 11:02 p.m., authorities said. Ford lived in the 1000 block of Hull Avenue in Westchester; Field was from the 7200 block of South Wolcott. Parish was identified as the shooter and arrested about 2 p.m. Tuesday in Fort Worth, Texas, police said. He had been apprehended by local law enforcement and held on a warrant in connection to the double homicide. Parish, who lives in the 11500 block of South La Salle Street, was scheduled to appear in bond court Thursday. Fields was also a victim of Chicago's gun violence on March 31 in the West Englewood neighborhood. At that time, Fields was using Facebook Live, which sends out a live video stream, while standing on the corner of 56th Street and Hoyne. He was chatting amiably about his visit to the city before gunshots sounded and the phone apparently tumbled from his hand, landing with the lens pointed to the sky - until the shooter steps over the phone and fires another dozen shots before stepping out of the frame. A video going viral on social media appears to show a man being attacked in Chicago's Englewood neighborhood.